This unit is in great shape and arrives with a one year warranty. I will ship on our Fed Ex Ground account if you purchase at our $3,995.00 price. 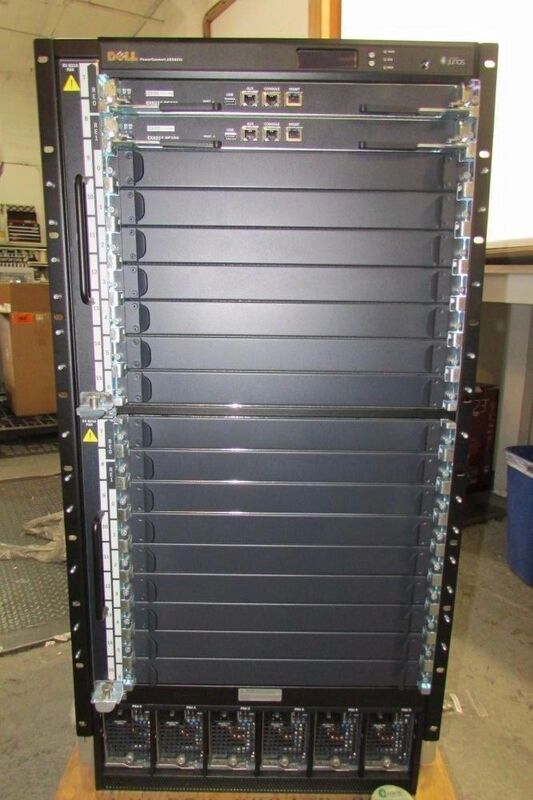 1x Juniper/Dell EX8216-REDUND-AC, PowerConnect J-EX8216-REDUND-AC-TAA Redundant AC-powered EX8216 system configuration: 16-slot chassis with passive midplane and 2x fan trays, 2x routing engines, 8x switch fabric modules, 6x 3,000 W AC PSUs with power cords, and all necessary blank panels. This model option complies with the United States Trade Agreements Act (TAA). 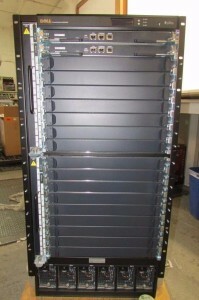 performance for the largest data center networks. This entry was posted in JUNIPER and tagged Dell-Juniper, EX8216, EX8216-REDUND-AC, Juniper-Dell on September 30, 2016 by nwrusa.